A multidisciplinary team of researchers from Imperial College London led by Dr. Firat Güder from the Department of Bioengineering have developed an innovative technique to print metals such as silver, gold and platinum onto natural fabrics. Max Grell, first author on the paper and Ph.D. candidate from the Department of Bioengineering at Imperial, said: "Fabrics are ubiquitous and some forms such as paper, are ancient. 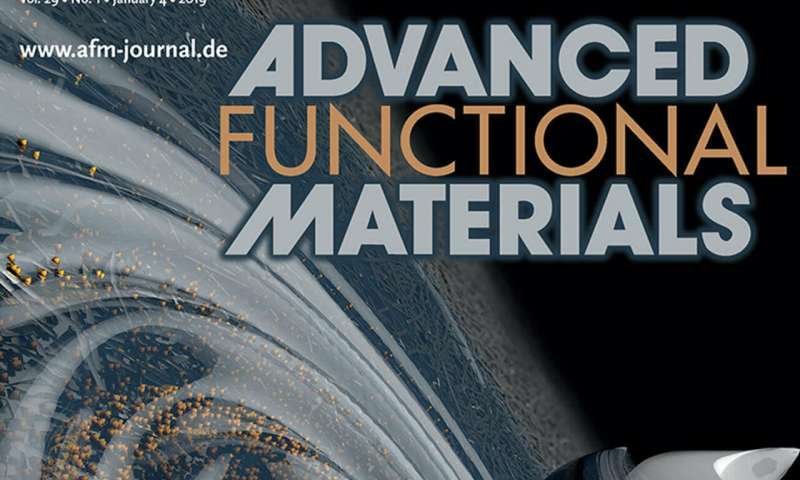 With this new method of metallizing fabrics it will be possible to create new classes of advanced applications." To coat the fibres, the researchers first covered them in microscopic particles of silicon, and then submerged the material into a solution containing metal ions. This preparatory process, known as SIAM (Si ink-enabled autocatalytic metallization), allows metals to 'grow' throughout the material as the ions are deposited on the silicon particles. The new approach was also used to produce a range of sensors. This included a paper-based sensor to detect the genetic indicators of a disease that is fatal to grass-eating animals (Johne's disease) and associated with Crohn's disease in humans. "We chose applications from a range of different areas to show how versatile and enabling this approach could be," said Grell. "It involved a lot of collaboration and we hope we have demonstrated the potential of this method so people who specialise in different areas can then develop these applications. Grell added: "The beauty of this approach is that it can also combine different technologies to serve a more complex application, for example low-cost sensors can be printed on paper that can then transmit the data they collect through contactless technology. This could be particularly useful in the developing world where diagnostic tests need to be conducted at the point of care, in remote locations and cheaply."